​Bournemouth striker Callum Wilson has committed his long-term future to the Cherries by signing a new four-year contract that promises to keep him at the Vitality Stadium until 2022. 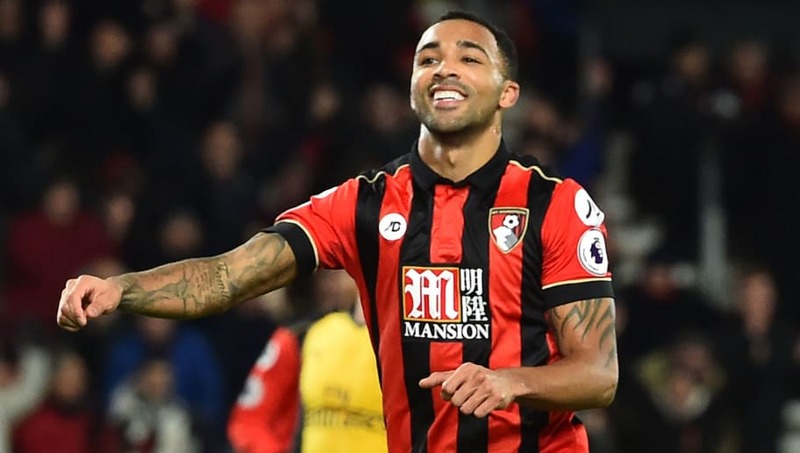 Wilson, whose debut season goals in 2014/15 fired Bournemouth into the Premier League, will be 30 years of age by the time his new deal expires. "I'm delighted to sign. It's nice to see that the hard work I've put in be rewarded and I'm excited about the future," he told AFCB.co.uk. "During my time at the club I feel like I've developed as a player, both physically and mentally. I've progressed and learnt a lot about the game and the position I play." Wilson took to ​Premier League football incredibly well, scoring a hat-trick against ​West Ham in August 2015 in what was only the third top flight game of his career. The former Coventry player then netted further goals against ​Leicester and ​Sunderland in the weeks that followed, before a cruciate knee ligament injury ruled him out of action for almost seven months. Wilson cruelly another serious knee injury in January 2017, but he returned to action last October and scored eight Premier League goals in 28 appearances, including a hat-trick against ​Huddersfield, that helped the Cherries to record another comfortable top flight season. One striker whose Bournemouth future looks like it could soon be over is Lewis Grabban following a reported successful £6m bid from ​Nottingham Forest.